Confused about buying a home in Utah County? There is a huge selection of residential homes, bank foreclosures, HUD homes, REO homes, Fannie Mae, Freddie Mac foreclosures, condos, twin homes and short sales for sale. Team Teasdale Realty would love to be your real estate brokerage whether it's your first home or your tenth home. We work with honest investors that are looking to make money in the Utah County market. If you would like our home search system to email you each morning a new listing appears matching your search criteria follow the link above. Feel free to click the advanced map search below to start you home search directly. This home search database has helped hundreds of our buyers find homes in Utah County. Our team of Realtors all live in Utah County. If you would like to work with Paul our Principal Broker let us know. 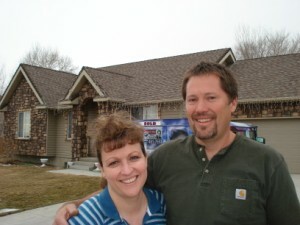 Paul has been selling homes since 1995 and has sold over 1,100 homes right here in Utah County. Our team is dedicated to offering you outstanding service. Support a locally owned and operated real estate company and receive old fashioned service with a high-tech advantage. Home Buyers in Utah County should consider hiring Team Teasdale Realty to help them find a home. "We asked them to show us what we wanted and they did exactly that. If you are looking to buy a home in Utah County we can help you. First you will need to get prequalified for a loan. Find a lender that you trust and get them to give you a prequalification letter. If you don't have a lender contact Paul Teasdale with Team Teasdale Realty. Paul will recommend a few good lenders in Utah County. This letter will help you determine if you are shopping in your correct price range. Meeting with a lender will help you determine what your future payment will be. Most importantly, when you bring an offer you will need to present a prequalification letter. If you don't have one it will make your offer look weak. Start searching for homes. Use the search homes link below. This link will provide access to the public MLS. Here you will find all the homes for sale on the MLS with Realtors. If you see any homes for sale that you like write down the MLS number and address. Contact Paul Teasdale of Team Teasdale Realty and discuss the current availability of each home. Once you are certain the homes are available with no pending offers you will need to do a drive-by. It is beneficial for you to make a list of all the homes that peak your interest and drive by the homes. You may not like the neighborhood or proximity to busy roads or train. Eliminate all the homes that are in areas that don't interest you. Narrow down the homes to the ones you would like to see inside. Step 4: Let's Start Looking a Homes for Sale on Your List! Make an appointment with Paul Teasdale and let's go see some homes. It typically takes 20 minutes to view a home and get to the next home. This means you will probably get to see three homes in one hour. Try not to see too many homes in one day or you may get confused. Plan to see homes for between 1-3 hours. It is a good idea to take notes when you go shopping for a home. Paul Teasdale has been selling homes in Utah County since 1995 and has sold over 1,100 homes. Paul will help you negotiate an excellent price and terms on the home you choose. Below are some tips for Utah County Buyers. If you are buying a home you may want to consider some of the links below. We look forward to helping you buy a home. Hey, buying a home can actually be fun! I have been doing it for 20 years and i still love it. Why hire a QSC Quality Certified Realtor? Why hire a e-PRO Certified Realtor?